One of the most popular hill stations in the country, which is located at an altitude of 6000 ft above sea level, is Mussoorie. The hilly retreat is well known for its rich colonial heritage as it was a summer escapade for the British who could not bear the scorching summer heat of the plains. The town is well known amongst its visitors to give out a fairytale experience, which comprises green hills, a wide variety of flora and fauna. The hill station was founded by the British in the year 1823 and was hugely popular with the British and later amongst the locals too. 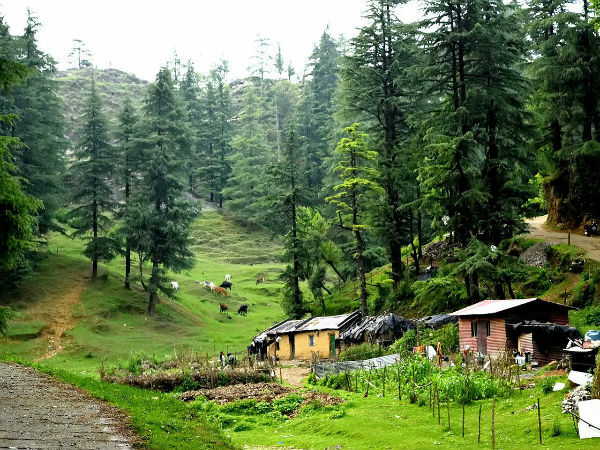 At present, the hill station is one of the most visited hilly retreats in the country and is fondly called the Queen of Hill Stations. The renowned writer, Ruskin Bond, is a native of this beautiful town and one would not be surprised to find him walking in the streets here. Mussoorie is one of those hill stations which can be visited throughout the year. However, the months from September to June are considered to be the best time to visit the place as the weather remains pleasant and enjoyable. By Air: The nearest airport is the Jolly Grant Airport at Dehradun, which located at a distance of 30 km from here. The airport is well connected to a number of domestic airports in the country, such as Delhi, Mumbai, Bangalore, etc. By Train: The nearest railway station is at Dehradun, which is located at a distance of 34 km from here. The station is well connected to major stations across the country, such as Delhi, Mumbai, Kolkata, Amritsar, etc. By Road: One of the best ways to reach Mussoorie is by road, as the place offers excellent connectivity by roads and operates plenty of bus services from major towns and cities with regular ones from Delhi, Dehradun, etc. The total driving distance from Delhi to Mussoorie is about 279 km, which would take you about 7.5 h to reach the place via the Saharanpur-Delhi Road. To reach Mussoorie from Delhi, one can opt for one of the three routes mentioned below. If you opt for Route 2, it would take you approximately about 7.5 h to reach Mussoorie, covering a distance of about 300 km from Delhi and if you opt for Route 3, it would take you about 7.40 h to reach the place, covering 298 km from Delhi. Route 1 takes you through some of the small towns of Haryana, such as Saharanpur, Shamli, etc. One can opt to make short stops at one of these places for quick breaks of tea, breakfast, etc. You would come across a lot of places to eat at on the highway, which offer plenty of local delicacies. Proceed further to reach the destination, Mussoorie. Mussoorie gets its name from mansoor, which happens to be a shrub, which was found in abundance in the region. Due to this reason, the town was called Mansoori by the locals and with the passage of time the place was called Mussoorie. Apart from being a tourist destination, the town is well known for its educational institutions, some of them happen to be found during the rule of the British Raj. St George's, the Oak Grove and Wynberg Allen are some of the oldest and reputed ones to be found here. Mussoorie is known for its breathtaking views of the Shivalik ranges along with the Doon Valley. The town is also the gateway to a number of pilgrimage destinations, such as the Yamunotri and the Gangotri amongst several others. One of the most popular shrines here is that of Jwala Devi, also known as Jwalaji. The shrine is located on the Benog Hill. Surrounded by thick forests, the temple equally attracts devotees as well as nature lovers alike. The shrine is located at an altitude of about 2100 m above sea level due to which one would get beautiful views of the Shivalik ranges and the Yamuna river flowing down. Also known as Depot Hill, it is the highest point in the hill station. Tourists come here in large numbers to witness the sunrise and the sunset. To provide aid to the visitors, a telescope was installed here in the year 1967 with which one can see Kedarnath, Bandarpunch, Badrinath and a couple of other Himalayan ranges. The second highest peak in the region, which is located at an altitude of 2122 m above sea level, is Gun Hill. Before independence, it is said that every afternoon cannons were fired from here to notify locals about the time and they would adjust their time accordingly. The place also provides beautiful views of the snow-clad Himalayan ranges and the entire town. One can make use of the ropeway which would take you all the way up for the same.